Is it cheating? Well, no. I’ve already cycled all the way from Holland to Istanbul. This is just a side-trip waiting for my flight to take me away from the winter. But, yes. It was cold, windy and very bleak, and I hitched a lift with a truck. Such a lovely offer. 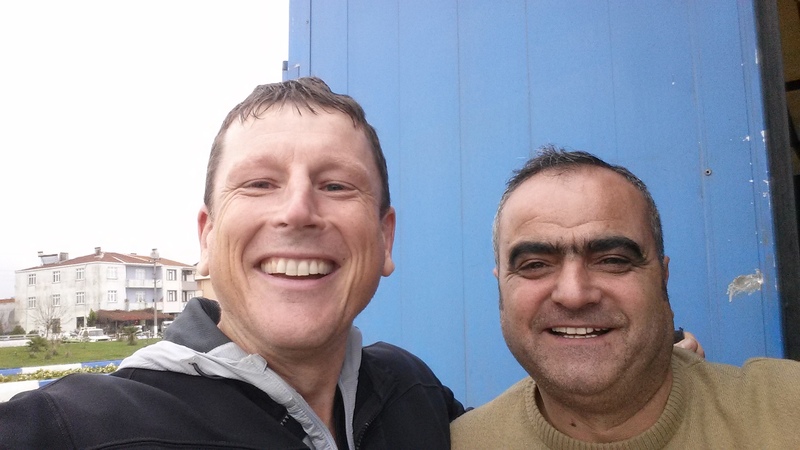 On arriving in Istanbul my state of being flipped. It switched in a nanosecond. I was a world-cycler, ready to battle through wind and rain, up hills and through traffic to get to my goal. Once my goal was reached, I became an exhausted shadow of myself, ready to nod off at a minute’s notice all through the day, finding it difficult to muster up the energy to negotiate Istanbul’s slopes on foot. My body was tired, and so I stopped, and became a lounger. The weather was perfect for lounging – rain, grey and cold. My cycle trip for 2014 finishes on December 5 with a flight to Australia and then Taiwan before returning to Istanbul at the end of February. 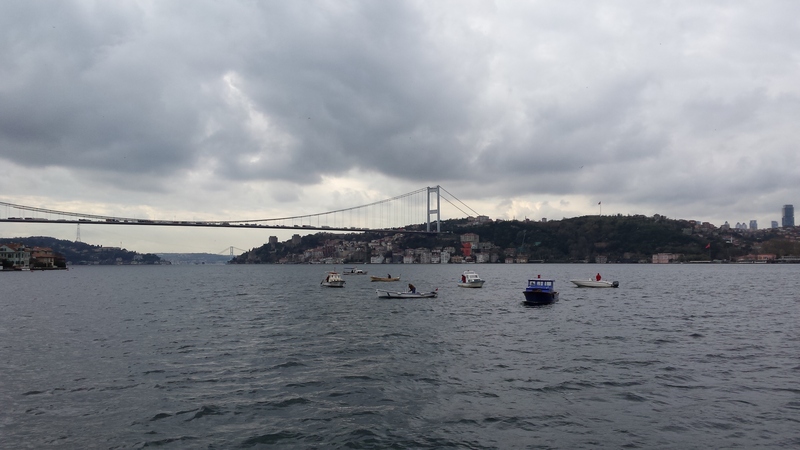 Bleak as it is, after 3 days in Istanbul as a pedestrian tourist, Drahtesel was calling – ‘ride me, ride me.’ I want to visit Galipoli, a very important place for Australians, New Zealanders, and Turks for where a lot of lives were lost in the First World War. Drahtesel may have been calling, but, at 5am when the alarm went off to catch the early boat across the Sea of Marmara to Bandirma, I wasn’t motivated. In negotiating the steep stairs of the B&B with Drahtesel, a water bottle fell off and broke. Why am I doing this? Riding off into the dark, the wind and the rain? Without a definite goal in front of me, this trip was not motivating. 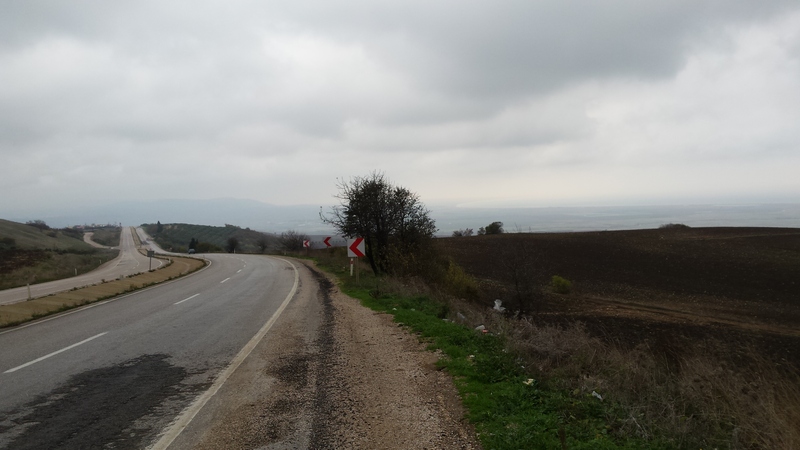 The road was freeway-like (like the D100 towards Istanbul), but not much traffic, and less hilly. It was cold, though – the days of frolicking in the turquoise waters are past. Now in Biga, things feel different. I am warm, and am being showered by gifts. The truck driver gave me biscuits and apples. 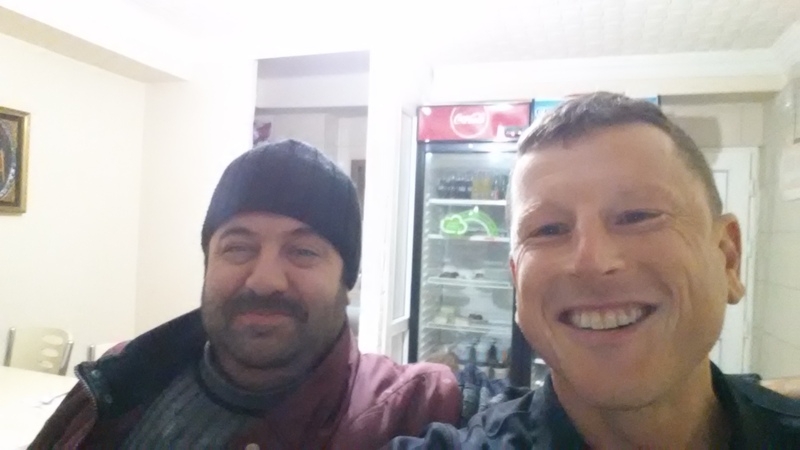 The hotel owners any number of cakes, biscuits and turkish delight. And the butcher gave me my whole meal for free. I am a friend. Lovely people, everyone! Uplifting. The news of the day is so often negative and depressing, and yet the world is full of stories like this of kindness and hospitality to strangers. This has made my day. Congratulations, you made it very well till Istanbul. You should start eating some fish as you are now in a very nice fishing area .